While none would claim 13th century England became a democracy as a result, Magna Carta later became the foundation stone of modern human rights. Down the centuries, rebels and campaigners cited the great charter when they sought to limit the power of kings and tyrants. Centuries later, it inspired the United States bill of rights and the United Nations Universal Declaration of Human Rights. The great 20th century English judge Lord Denning described it as “The greatest constitutional document of all times – the foundation of the freedom of the individual against the arbitrary authority of the despot”. And this very day, the Sunday Times columnist Adam Boulton cited the great charter in arguing that Britain’s politicians are unlikely to reverse the fixed term parliaments act after another inconclusive general election: “That would require restoring a royal prerogative, something parliaments have always been reluctant to do since Magna Carta”. 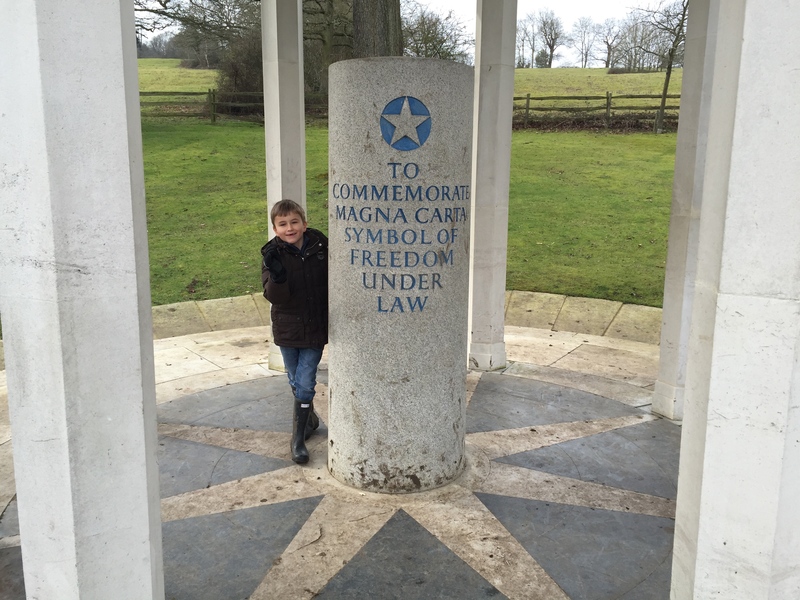 Intriguingly, Runnymede’s Magna Carta memorial at Runnymede was created by the American Bar Association in 1957. This transatlantic connection underlines the global impact of the agreement sealed here in 1215, and Britain and America’s shared legal heritage. Our six year old son Owen was captivated by the story of Magna Carta, as told in a special Magna Carta edition of the BBC Horrible Histories series. Especially the Magna Carta song, which we played on my iPhone on the spot that history was made 800 years ago. 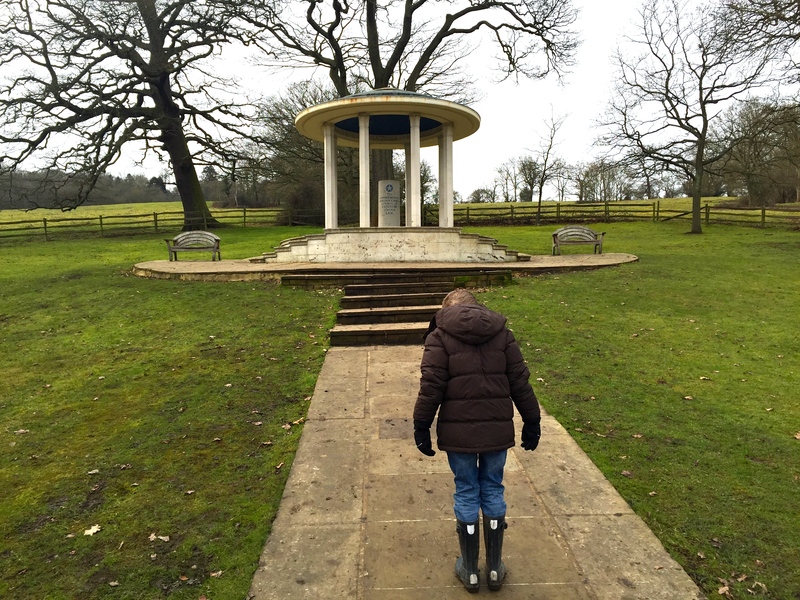 This entry was posted in Britain, History and tagged Magna Carta, Runnymede by Rob Skinner. Bookmark the permalink. I’m impressed the Horrible Histories song considers the Charter’s significance in the context of its historiography. Interesting post. Now Esme shall be watching the Horrible Histories explanation and hopefully I can answer (or help her research) the inevitable questions that will follow.